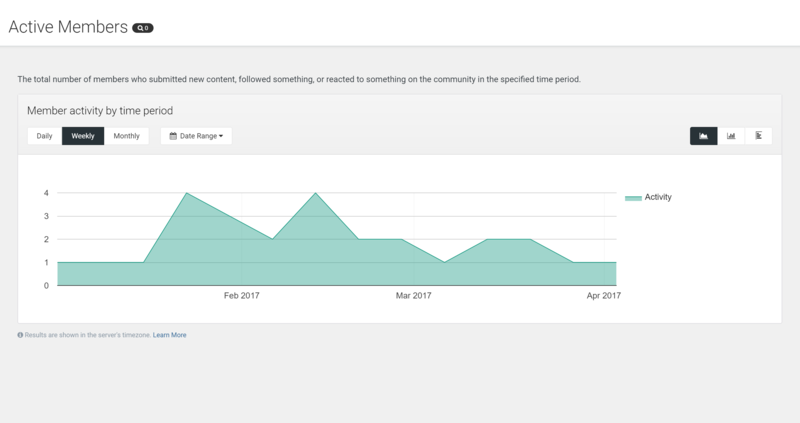 Statistics can be an important part of monitoring your site and ensuring it grows and responds to your marketing and promotion efforts effectively, and several new statistic tools have been added to the 4.2 Community Suite which we know you will be excited to learn about! 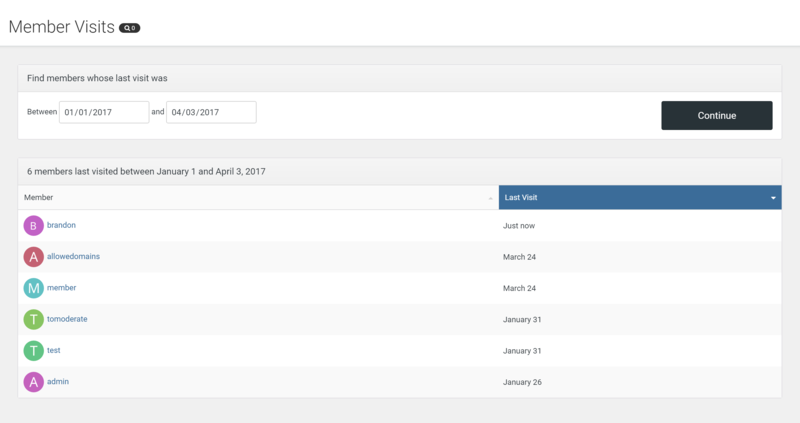 A simple tool has been added that will allow you to look up and list all member accounts that have last visited the site within a specified time period. 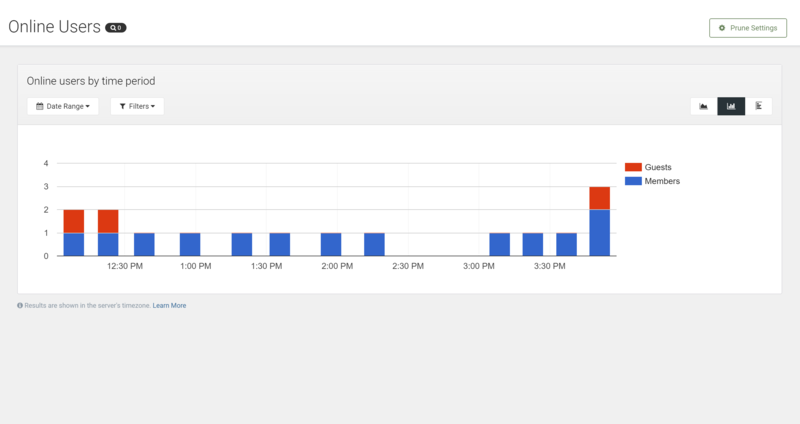 Additionally, online user (both logged in user and guest) counts are now tracked every 15 minutes and graphed in the AdminCP for you to reference. You can view online user trends over a specified date period, view just guest counts or just member counts (or both), and view the graph in multiple different modes (such as an area chart or as a column chart). By default, the data is retained for 180 days, however you can control how often to prune this statistical data in the AdminCP. You can also view a graph of member activity on the site. Member activity is defined as any "activity" beyond simply browsing, such as submitting a new post, reacting to any content item or comment, or following any content item or node. 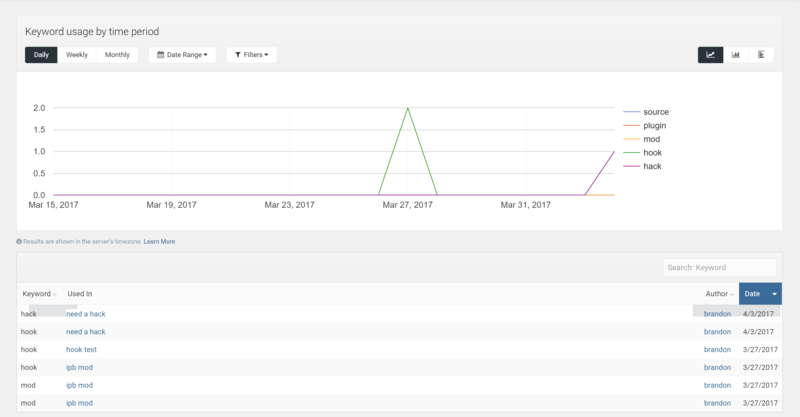 You will also be able to define keywords that you would like to monitor and then see both a graph of usage of those keywords, as well as a table listing all usages of those keywords. You can use this to track usage of competitor names, find out if hash tags you define are trending, or learn if promotional materials are making an impact on your membership. Along with these additions, we've cleaned up the menu and wording for the rest of the existing statistic options to make their functions more clear. We hope these additions help you better track and control your community, making the most of your time and money. Note for developers: A new chart class has been added which allows you to populate dynamic charts using callbacks, in addition to the standard methods that already exist for pulling data directly from a specified database table.